MamaBreak: Top 5 Places . . . Paris! 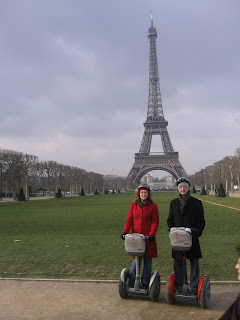 I have done a lot of thinking about the 5 places I love most about Paris. It is a hard choice, because it is one of my favorite places on earth. Narrowing it down to 5 was hard, but I think I came up with my list. 1. La Teur D'Eiffel (The Eiffel Tower): I think this is an obvious choice, but it is also the complete truth for me. the Eiffel Tower holds such a special place in my heart. Every time I see it, it brings me to tears. When I was younger, I dreamed of going to Paris. 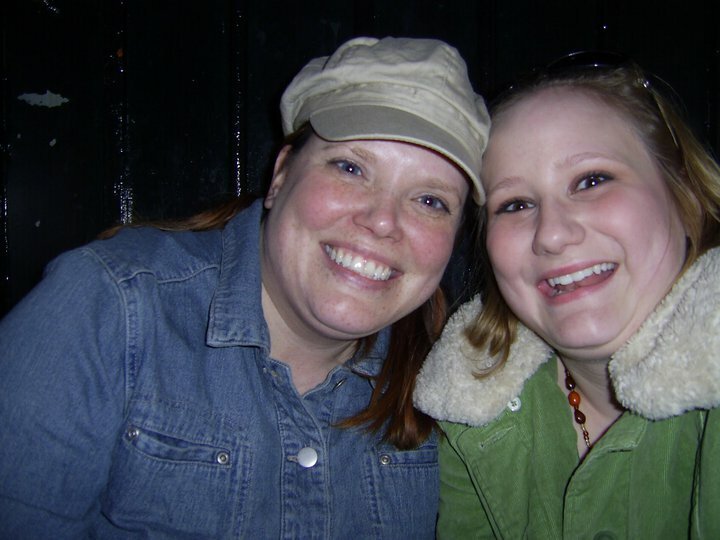 When I finally made it there in my early 20s, it was the one place I absolutely needed to see first. It is what most reminds me of this city that I love so much. While you are there: Stop at a crepe stand. My favorite is Crepes with Nutella. Mama Steph showing off Paris to hubby. 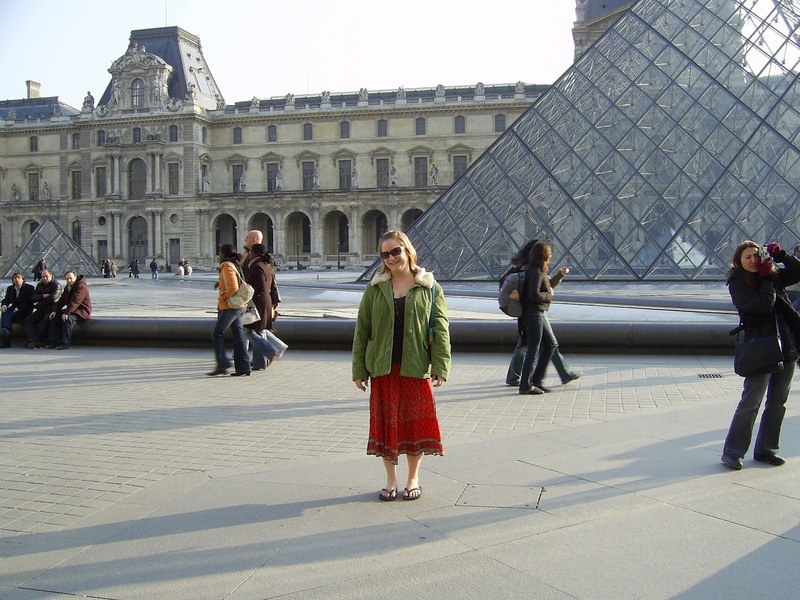 She stayed in Paris and taught English as a Second Language for a school year! 2. 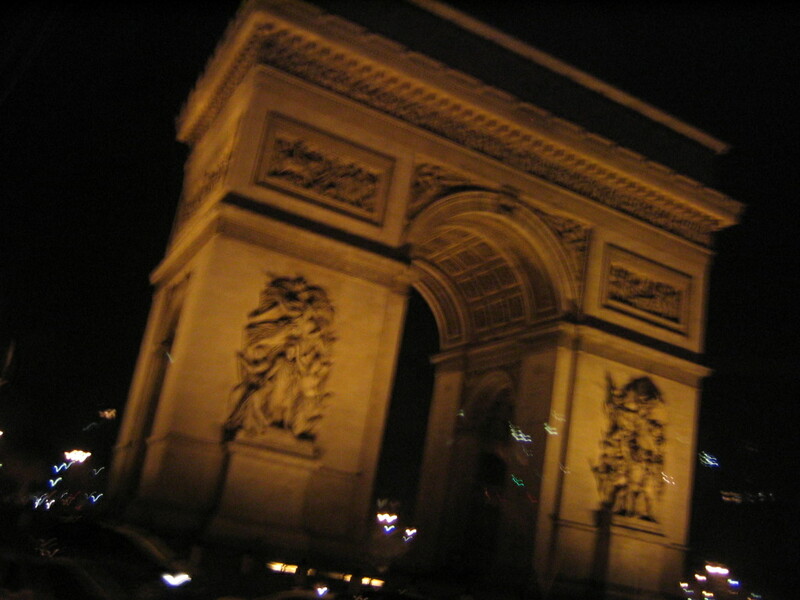 Arc De Triomphe (The Arc of Triumph): This is also an icon of France, and a location many people think of when they think of Paris. 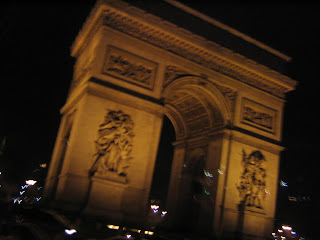 The top of the Arc De Triomphe is my favorite view of Paris, especially at night. Take the walk up the long spiral staircase to build anticipation of this amazing view. While you are there: Pay homage to those that have given their lives at the Eternal Flame and the tomb of the unknown soldier, directly below the Arc de Triomphe. 3. 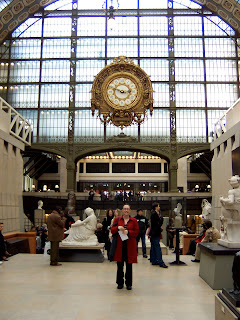 Musee D'Orsay (Orsay Museum): This is one of my "controversial" picks. 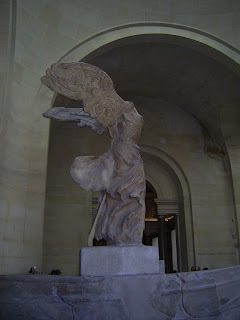 It really depends on the type of art you enjoy, to pick a favorite museum in Paris. If you like the romantic period (and older), choose The Louvre. If you enjoy modern art, The Pompidu is for you. If you love impressionism (which I do), then the Orsay is your place. These are generalizations to steer you to the right place. It does not mean that the museums ONLY carry that kind of art, because they ALL have a variety. But if you are looking for Van Gogh, Manet, Monet, Degas, Renoir-- then they are at the Orsay. If you are looking for Starry Night-- you are looking for Orsay. For me, it is the most moving museum I have ever been to. The works that I have seen in pictures, were there in person. 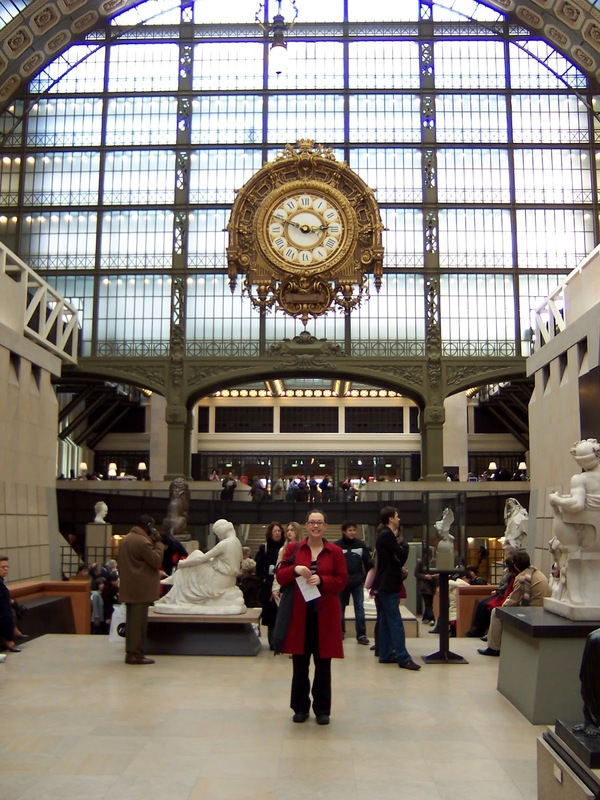 I could spend an entire week just walking around the Orsay, but it can be easily enjoyed in a day or even a 1/2 day. Recognize the red coat!? This was a trip over the winter months. TOTALLY worth it! Go ANYTIME to Paris! While you are there: Take a walk on the Seine and grab a coffee. The museum is located right on the banks of this famous French river. 4. Sacre Coeur (Sacred Heard Church): Another controversial pick, I am choosing it over Notre Dame. Although Notre Dame has the big "WOW" factor, it does not compare to the spiritual feel of Sacred Heart. 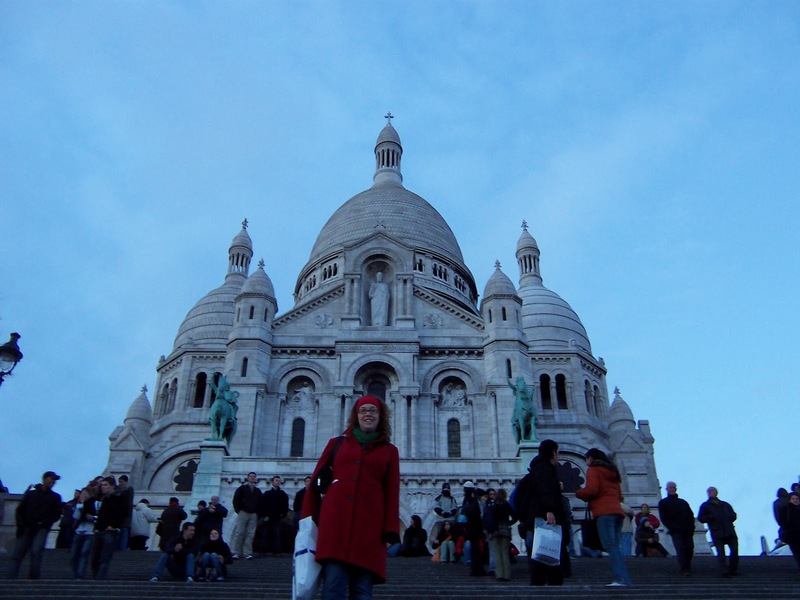 I have felt connected to Sacre Coeur since my first visit, long before I became Catholic. There is something about it that moves my soul every time I visit. It is majestic in its beauty in a different way from Notre Dame-- a way that is closer to the heart. The walk to the top of the church is worth the breathtaking view of Paris. While you are there: I am going to cheat a little and give you another location that is at the bottom of the grand stairs up to Sacre Coeur and to the right. You simply must go to Montmarte. This is a market of local artists selling their wares. Technically, I believe Sacre Coeur is a part of Montmare, but it will be hard to miss once you are there. Also, the ride the carousel at the base of the bridge and take in the "live" art of living statues often in this location. 5. Pere Lachaise: This may seem like an odd choice, but when I brought my cousin it was on my list of places she must see. If it filled with the resting places of many people. some people visit it to see the grave of Jim Morrison. Others Chopin. I always visit the grave of Oscar Wilde-- they will tell you not to kiss his headstone, but I will leave that up to you, I am sure you can guess what I do! While you are there: This is an arrondissement filled with many local shops. Pick up a baguette, meat, and cheese, to have a picnic for later. So, those are my top five places. They are the places that I always make sure to visit any time I go to Paris. Paris Catacombs: To experience Paris underground. Trocadero: Some say this is the best view of Paris. Notre Dame: It is truly a masterpiece. Pompidou: A TON of fun and a great mix of modern art! 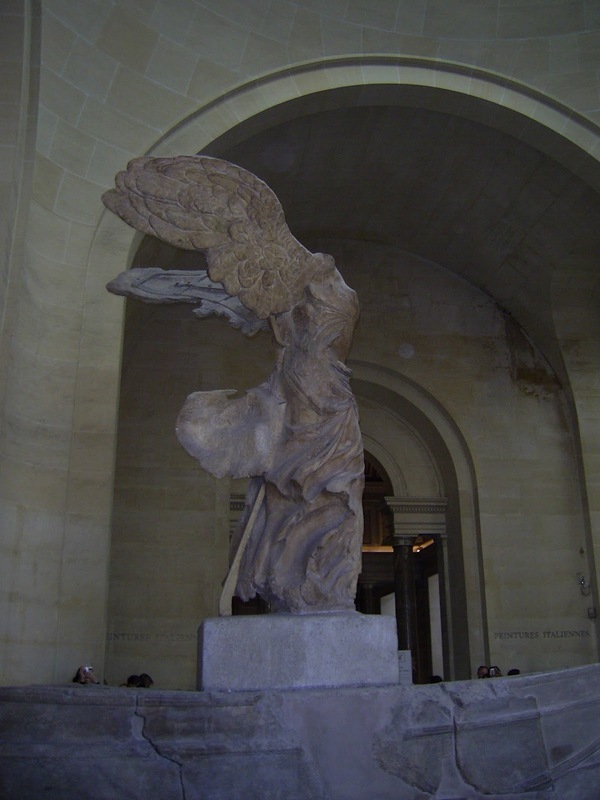 The Louvre: To see Mona Lisa, Winged Victory, Venus De Milo, and other famous works of art. Pantheon: Resting place of many famous people including Victor Hugo. Opera: The original Paris Opera house-- simply stunning. Luxembourg Garden: If I had my children with me, this would have made my top 5. It has puppet shows, beautiful scenery, and is what a Parisian park is all about. Underground Cabaret Show! They DANCE on your table! Would love to go to Paris someday! These places sound so neat! You should have posted photos! Would love to see! I will tonight! I could not find any because I have not been there with a digital camera, so they are all regular photos. I am running to pick some up from my office! It is seriously my DREAM to visit Paris. Nothing more romantic than taking a trip with your SO here! I want to go Paris so bad! 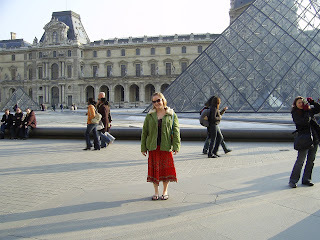 I spent years studying French and would to check out the museums! They are one of my favorite things about Paris. I had a hard time not listing both Orsay and Pompidu because I love both so much, and I think everyone should go to the Louvre at least once as well! There are many less known ones there as well! Paris is awesome! The people aren't very friendly but I love it there. Did you ever make it to Versailles? It is beautiful! Yes, I almost posted pictures of Versailles because they were the only ones I could find! I went in the summer to France (and spent a few months studying there), and so I was really able to truly take in all the gardens of Versailles! That would make it hard . . . I bet it is a LONG boat ride. When I post pictures, you can travel there through the pictures . . . or go to Vegas and experience mini-Paris. So jealous!! I would love to be able to go to Paris someday! It is so cheap! Look for tickets in the winter, like in February or March. They sometimes drop to lower than most domestic fares! I would love to visit sometime. Maybe one of these days!! One day my husband and I are going to go..it is our shared dream! you need to go! It is a magical sort of place! It was on mine as well. I hope to get back SOON! I kind of want to visit but I'm all for Greece, Italy, and Egypt. I will haunt everyone on this earth if I never make it there, hehehe. I have only been to France (all over the country) an Belgium. I just adore France though. I do hope to get to Italy, Greece, and Egypt though as well. the UK too! 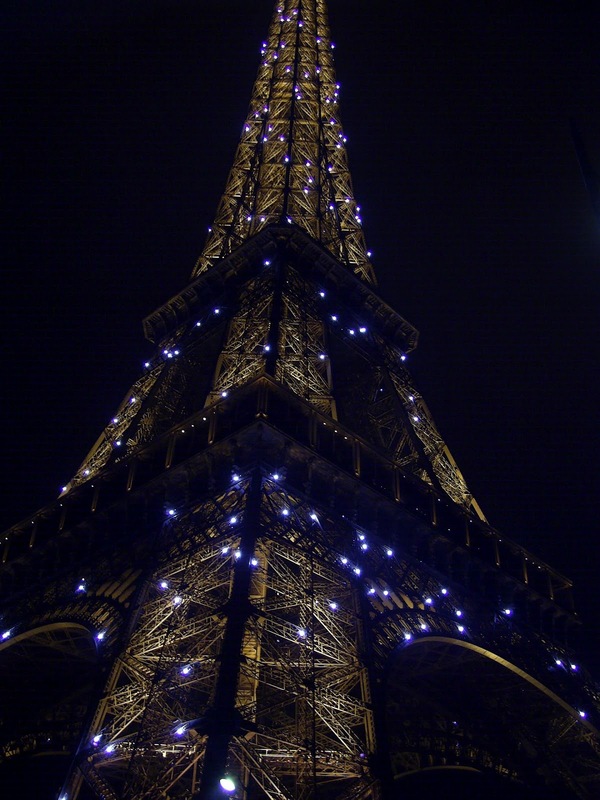 I would love to go to Paris some day! I hope you get to Malia! Thanks for posting the pictures! Love seeing places I have never been!